The last weekend of August was the perfect Saturday to celebrate the Chinese New Year with elrow. The most hooligan singermornings staged a wild Chinatown show in the Main Room of Space Ibiza. 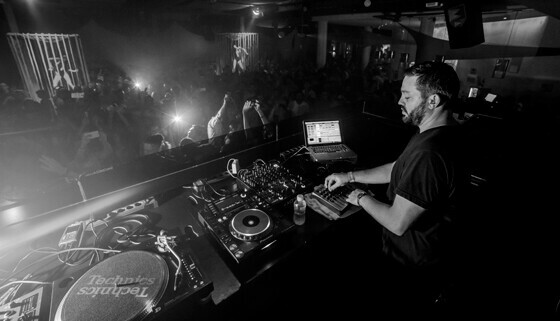 Meanwhile, Fritz Kalkbrenner once again amazed those visiting Kehakuma with his expected live performance. Lanterns, dragons and even roasted duck were all a part of the set assembled by the guys from Viladecans on their peculiar celebration of the Chinese New Year. The Catalans have accustomed us to their surprises, but this time they exceeded everything imaginable. The show took complete control of an evening where Groove Armada, Subb–An, George Privatti, Mario Biani and Joey Daniel performed. The last one was in charge of opening elrow. His music opened the dance floor, the first tracks brought in the audience quickly in the dynamics of the singermornings. When Subb–An ascended to the DJ booth, the party was already underway. In the session he emphasized his track “Warp”, released in 2015 by the British label Ministry of Sound. The highlight of the evening came with Andy Cato and Tom Findlay. 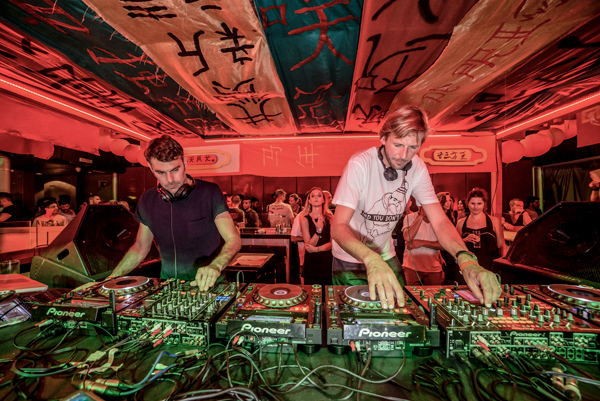 The integral members of Groove Armada were clear that the dancing had to continue. From the start, the group has evolved into a myriad of styles. For the occasion their Tech House dominated over the rest of their records. While there was flying confetti inside Space Ibiza, there were many who wondered what the limit of the show would entail, and that is, if you have not lived then you don’t know what elrow is. After the British duo set, residents George Privatti and Mario Biani continued the party until the end of the night at the Club in Playa den Bossa. While the sarcastic rowero style walked freely through the Main Room, another room was reserved for the avant-garde sound and musical excellence. Kehakuma, in the Terraza of Space Ibiza, managed to stand out from the general madness that the club experienced to enjoy an elegant and demanding line-up. 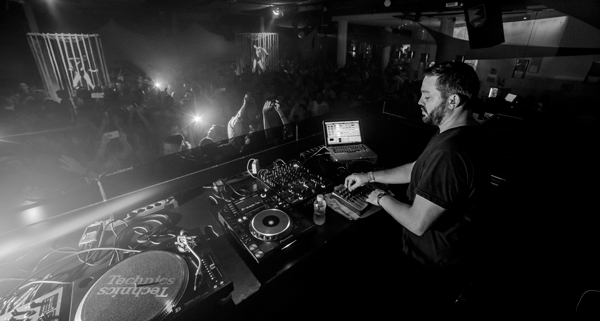 Fritz Kalkbrenner (live), Romano Alfieri and the brand resident Javi Bora, were the names who steered the night. Romano Alfieri was the one chosen to inaugurate the party. The DJ and producer knew how to warm up the clubbers for the arrival of Fritz Kalkbrenner, who showed up around 2:30am. In the hour and a half session, Fritz returned to transmit his characteristic dynamism behind the decks. His positive energy revolutionized the dance floor that was hungry for good music. After last night, there are only two opportunities left to enjoy Kalkbrenner. Javi Bora closed the party with his Raw House style. The Spaniard was not intimidated after the performance of the German. Boasting his knowledge, he showed why he has earned his own residency in the best club of the world. There are only four dates left to enjoy this unparalleled union at Space Ibiza, buy your tickets for elrow – Kehakuma and do not miss the opportunity to live a unique experience.